Skin Guard & Chafing Prevention For Your Entire Body. Using 2Toms SportShield® liquid roll-on or towellettes, you apply a smooth, thin invisible coating to the skin. This coating eliminates or greatly minimizes the friction that causes blisters, chafing and irritation. It can be used on any part of the body where skin is subjected to chafing by clothing and equipment pressure points. 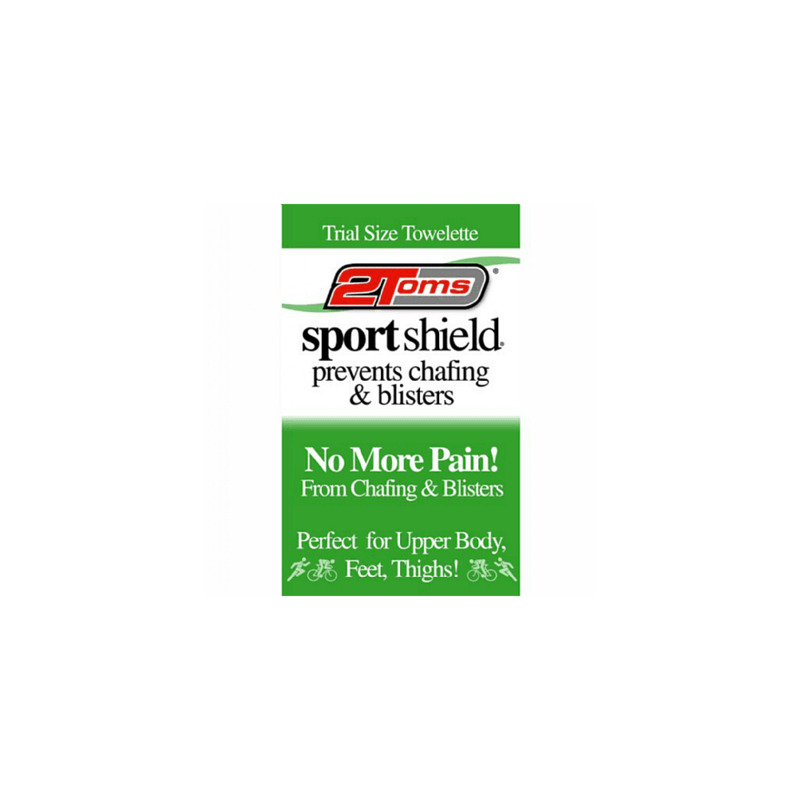 2Toms SportShield All Day Chafe Protection2Toms SportShield® performs with you under the most grueling conditions. It even works under wetsuits! SportShield® will not rub off, but it is easily removed with soap and water, leaving absolutely no residue. Popular with myRaceKit customers, this handy size sachet is the perfect anti-chafe solution!